Planned Parenthood: dangerous for women. There’s been an update to the tragic death of Tonya Reaves, a mother of one who was engaged to be married. After undergoing a second-trimester abortion at Planned Parenthood, Reaves began to bleed heavily. And instead of taking her to the hospital right away, the people who were supposed to care for her left her to bleed for over five hours before an ambulance was called. The abortion, a dilation and extraction procedure, took place at 11:00. But an ambulance didn’t take Reaves to the hospital until 4:30 – five and a half hours later. When the doctors at the hospital performed an ultrasound an hour later, they found that the abortionist didn’t complete the abortion. Reaves had to then undergo another abortion to complete the first one, but the bleeding and the pain didn’t stop. A second ultrasound revealed that she was also suffering from a perforated uterus. She went into surgery that evening, but doctors weren’t able to control the bleeding, and she eventually died. How much of a difference could it have made had Planned Parenthood gotten her the emergency help she desperately needed? Newman, in a press statement to LifeNews, quotes Dr. James C. Anderson, M.D., a 30-year veteran emergency room doctor who said abortion clinics never informed him about their patients’ conditions. Newman says the lack of information proved fatal for Tonya Reaves. Abortion advocates have effectively circled the wagons around Planned Parenthood – after all, the death of one woman hardly matters when compared to abortion access – and have started obfuscating the facts and creating smokescreens, accusing pro-lifers of “exploiting” this tragedy. This supposed exploitation is because pro-lifers have not let Planned Parenthood refuse to take responsibility for its actions. 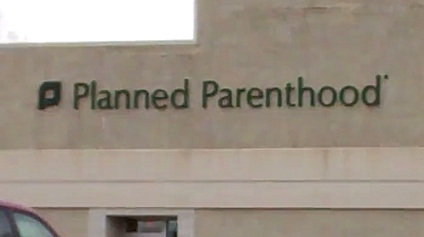 The reality is that the people at Planned Parenthood doesn’t care about the safety of women, and they’re trying to hide the fact that this case shows they were negligent, denied Tonya Reaves access to emergency medical care after butchering her in a failed abortion, and then, in effect, left her to die. Planned Parenthood is already facing a congressional investigation due to accusations of Medicaid fraud and hiding cases of sexual abuse against minors. A negligent death playing out before the eyes of the public is the last thing abortion advocates want. After all, keeping abortion readily available matters more than anything else, even above the health and safety of women like Tonya Reaves. But the facts cannot be hidden. And the facts show that Planned Parenthood is a dangerous organization – not just for unborn children, but also for the women and girls who entrust them with their lives.